For years I’ve been passionate about photography, but when I had a baby it took my love of taking photos to a whole new level. There’s something so special about capturing these moments that seem to pass by at lightning speed. Jett is growing up so fast and being able to look back on the photos I’ve taken of him since he was just a big 9 pound baby truly make my heart so happy. That’s why today I wanted to share some tips with you to take better photos of your baby so you too can have those special photos that you can look back on years from now (or while your baby sleeps-ha!)! Lately I’ve gotten a ton of questions over on Instagram about how we introduced Jett to solids, what he eats in a day, his favorites from Trader Joe’s, etc. So today I’m sharing everything from how we mixed feeding him purees with Baby Led Weaning, what we started with at 6 months, to what he is eating now at 9 months. I’m also sharing my Trader Joe’s shopping list for him, so keep reading! Who is excited for warmer weather and sunshine?! ME! This weekend I wanted to show y’all all of the spring and summer staple pieces that I got from Revolve! If you missed the try-on on my Instagram stories, I saved it on my highlights. Keep reading to see everything! 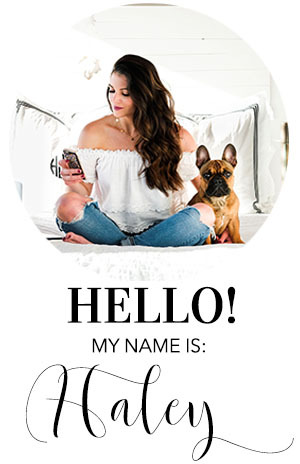 I’m finally caught up with Jett’s monthly updates- hooray! He’s technically 9.5 months right now, but who is counting?! This month has brought us a lot of changes and challenges just like any other month but boy is he ON THE MOVE. He is also eating what seems like more than an adult at dinner time. His appetite is insane. Keep reading for more on his schedule and all of the other 9 month updates! When I was pregnant I had HORRIBLE melasma. I had no idea what to do other than stay out of the sun which is hard to do in Southern California. Luckily with time and the right postpartum skincare routine my melasma has drastically faded and I couldn’t be happier! In today’s post I’m sharing my postpartum skincare routine that is also safe for breastfeeding, enjoy! Jett is growing like a weed and just getting cuter by the minute. This past month has been filled with a lot of new milestones or challenges depending on which way you look at them! He’s on the move and getting into everything and we couldn’t love it any more. Keep reading for his feeding schedule, more on how we’ve introduced solids, and more! One of my most frequently asked questions is how we got Jett to sleep through the night so early. He was in his crib and sleeping through the night at 6 weeks! He’s slept really well since he was teeny tiny, but we’ve still had our ups and downs and some learning experiences in between! In today’s post I’m sharing 5 tips that have molded Jett into the excellent sleeper he is today, keep reading for more! Since y’all loved last weeks try-on so much, I decided to do another this weekend. I’m so excited to share all of these Z Supply pieces with y’all because they are SO COMFORTABLE and the perfect pieces for the weekends! Who doesn’t live for the weekends and comfy clothes, right?! Keep reading for all of the details and sizing of each piece! 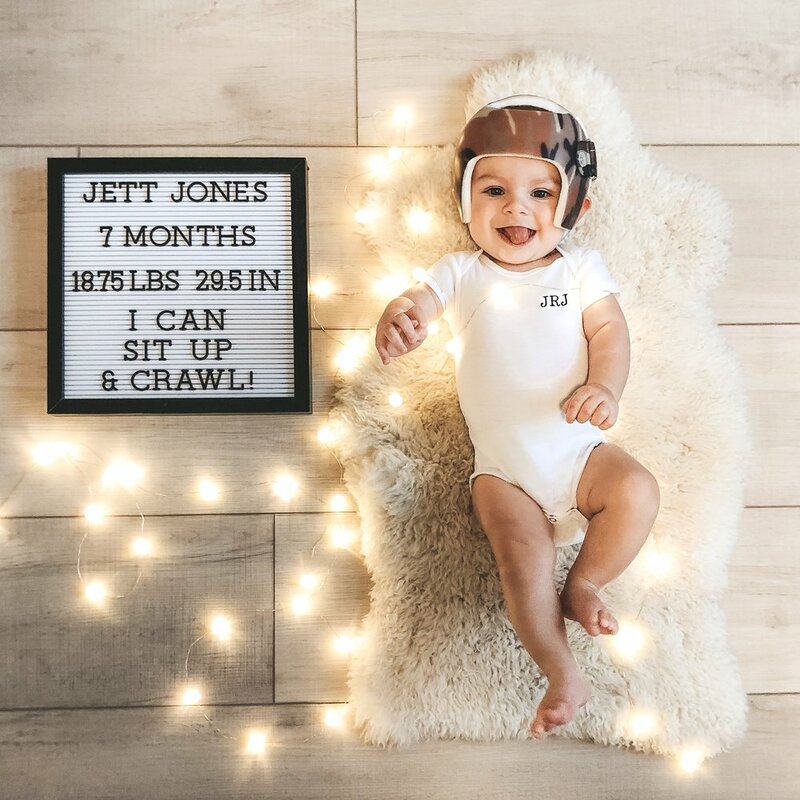 Jett turned 7 months old just before Christmas and in today’s post I’m sharing all of his milestones, sleep schedule, and what a day of eating looks like. He’s almost 9 months old now (mommy is majorly behind), but every month is such a great adventure with him I don’t want to miss documenting each one! I’ve gotten lots of requests to share more try-on hauls with y’all, so here we go! Today I went to target to pick up some vinegar and a spray bottle to save our outdoor rug and ended up spending an hour shopping all of their spring clothes for mommy and baby. Oops! In this post I’m sharing what I got and what size everything is! Happy Shopping, y’all!